What’s New:A computer science research group from the Hebrew University of Jerusalem has mathematically proven that artificial intelligence (AI) can help us understand quantum physics phenomena. The results have been published in Physical Review Letters. 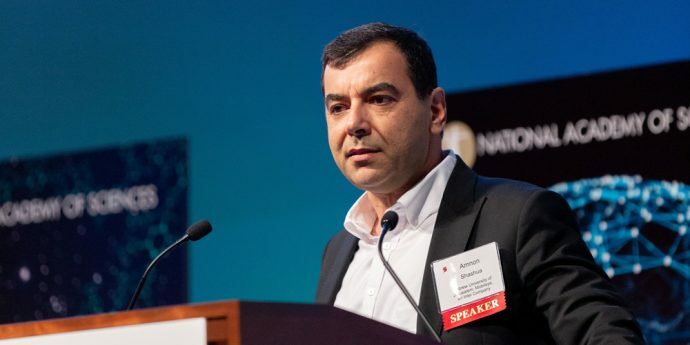 Intel Senior Vice President and Mobileye CEO Prof. Amnon Shashua shared the group’s findings during a keynote Wednesday at the Science of Deep Learning Conference hosted by The National Academy of Sciences in Washington, D.C.
Why It Matters: Despite the surge of AI across nearly every industry, it has not been widely applied to the world of quantum physics. Doctoral students Yoav Levine, Or Sharir and Nadav Cohen, led by Shashua, aim to change that by proving how recent developments in machine learning can help us study some computationally difficult areas of quantum physics. Using the latest advancement in deep neural networks to conduct proper simulations faster and more thoroughly, these researchers argue, will provide new insight into the smallest of particles and how they interact. 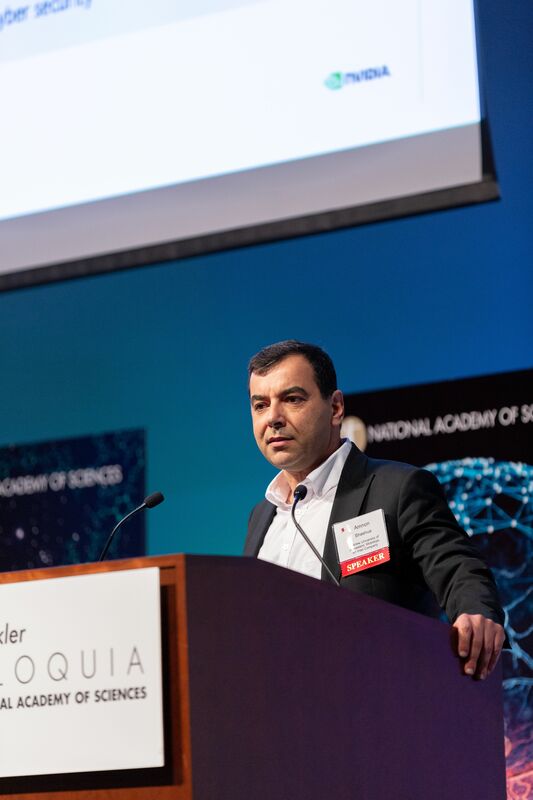 How It Works: The team showed that algorithms based on deep neural networks – algorithms that have revolutionized AI – can be applied to the world of quantum physics. These algorithms, which have already endowed computers with facial- and voice-recognition capabilities, will now be able to refine our understanding of the quantum behavior of nature. More Context: Understanding phenomena in systems of many interacting quantum particles (particles of miniscule size, such as electrons) is one of the most popular and intriguing subfields in current physics research. It studies how particles in nature “come together” and bring forth surprising properties, such as electrical conductivity and magnetism, among others. As has happened in the technological revolutions of the 20th century, a deeper understanding in this domain can greatly affect various aspects of modern life, as it bears potential to enable the next revolutions in computing, energy, transportation – and the limits can only be imagined. The connection of AI to this field promises fascinating developments in upcoming years.